How is your restaurant accommodating the growing demand of mobile ordering? More often people are saying “let’s order in.” How can you make sure your restaurant is ready to capitalize on this trend and increase your sales? To-Go ordering is usually done through a website or app based system. The process should be as easy as possible for customers, and be a good experience. Remember, they are most likely ordering from their phone with a small display so make sure everything is legible and mobile friendly. Depending on the amount of mobile orders you plan on handling you may need to change the footprint of your restaurant to accommodate. Some chains are making it faster than ever for customers to get their mobile orders by having a workstation completely devoted to only making orders for pick up. If you aren’t doing a full mobile order station you’ll need to make sure employees have a good system in order for preparing these orders in an efficient manner. After the food is made and packaged you’ll need a place to store it until the customer arrives to pick it up. Because the trend of mobile ordering is a recent addition to many restaurant chains you might not have a dedicated space that works well for this yet. If possible, consider making adjustments to your checkout counter to accommodate a customer pickup area. For the customer to have a good experience with ordering to-go it will be important that you make a well labeled pickup area. Make sure both the in-store customers waiting in line and the mobile ordering customers are aware of the pick up system. The last thing you want is a mobile order customer waiting in line unnecessarily, or for customers waiting in line to feel like others are skipping the line. 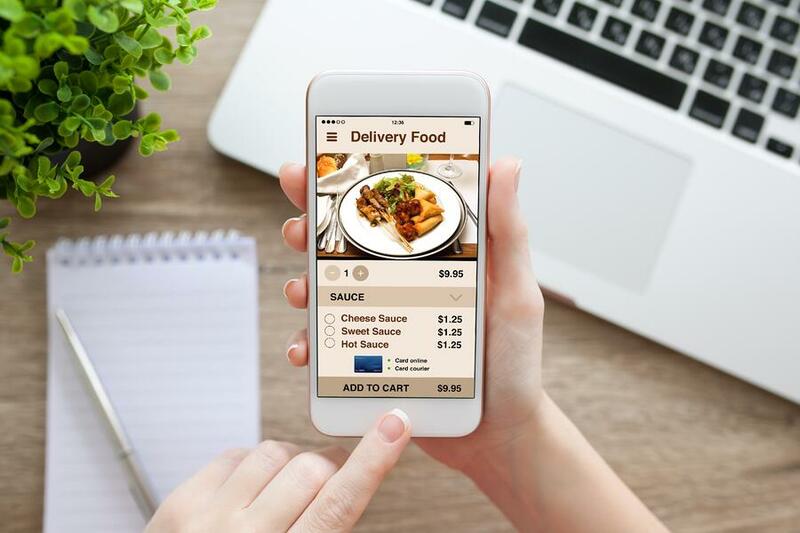 It’s an exciting time in the food industry for those who can make the necessary changes to their day to day service to accomodate for the needs of mobile ordering. There is a lot of room for growth through this trend. If you need help taking your chain in the right direction reach out to the fabrication team at Franke Foodservice Solutions today.